Why are you called Running Pixels? All of us at Running Pixels worked in the photo industry when analog film was the standard. Film was ‘run’ by professional film labs. Running Pixels offers the same services pro labs provided to photographers but with digital files instead of film. We process and manage images while ensuring high quality, proper color, and a style the photographer desires, thus we are Running Pixels. There is no single best digital camera. In our opinion, the ‘best camera’ is the one you bond with and love to use. Each photographer demands different performance from a camera. A Canon or Nikon DSLR is generally best at quick auto focus and capturing action shots on the fly. A Medium Format Digital Back (Phase One, Leaf, or Hasselblad) can provide amazing resolution and detail. The new PhaseOne IQ250 has unbelievable Hi ISO. There are pros and cons of every camera system. Feel free to contact us about your shooting style or particular project and we can recommend a few options for you. What computer system do you recommend for our studio photo shoot? MacPro Towers are our studio standard as we believe in using the ‘Big Guns’ to work with imagery as quick as possible. Towers are by far the most robust computer systems for large photo shoots. Adding a remote iMac Video Village monitor for client viewing can help keep the crowd away from the shooting area. How about for a location based photo shoot? If feasible, we like to roll on location with a Tower kit. Quiet Portable Generators and Outdoor Viewing Tents accommodate location situations. However, if the job requires quick movements or multiple locations within a day, an iMac or MacBookPro Laptop can be a better solution. Our Laptop Kits are customized to mount on a tripod so they can setup instantly and move rapidly. When generators are not an option (high risk fire areas, etc. ), Extended Battery Pads can be used to run a laptop all day long. Apple’s iMac is a great computer and recently has become a suitable capture machine. Older models had poor screens that were too bright and very difficult to calibrate. We use 27" iMacs for our “Video Village.” They ‘mirror’ the main capture station so the clients can see whats going on without being near the camera setup. This is a great way to include your client while reducing the crowd around the set. iMacs are also great capture stations for travel jobs since they fit in one travel case and help minimize the unpredictable excess baggage charges from airlines. However, we feel that the glossy iMac screen is not the best for critically viewing imagery. Do you handle file delivery to my client? Of course. Smooth file delivery to the end client is very important to us. Expect questions from our techs about who is going to need what, when, and how. 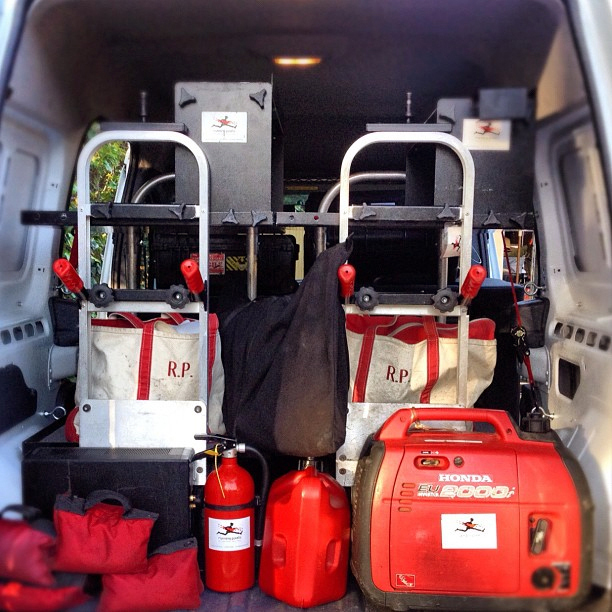 Any file processing that can be handled on set is included in our techs day rate. In our estimating process we do our best to address and predict all file delivery costs including hard drives, ftp service, etc. Don’t hesitate to speak with us about your specific needs. Will a Running Pixels Digital Tech work with my computer setup? Sure. If your computer has the appropriate capture software and ample hard drive space, we are happy to work with your machine. However, we always recommend having a second computer on set as backup. We can provide a backup laptop for you, or we can use one of our capture stations as the main computer and your laptop as backup. We are very flexible about capture setups. All equipment is “a la carte” at Running Pixels. You only pay for what you order. Why do you stress monitor calibration? Viewing your images at the correct brightness and color calibration is extremely important. Its the only way to ensure proper exposure and that everyone will be seeing the same thing after the shoot is over. If your studio machines are not calibrated, please let us know and we would be happy to help you calibrate them. Computer color calibration is never 100% exact and two monitors will almost always look slightly different. However the difference between an uncalibrated screen and a calibrated one is shocking. What should I do for storing all my digital photos? Keep 2+ digital copies. 3+ is better. Two on-site and one off-site. RAIDs are great if you want to keep large amounts of data all on one volume. But don’t think they are foolproof. Any hard drive system can fail and it is essential that you back up important files often. Generally we recommend keeping it simple. Design a workflow that makes sense for you and incorporates backups. Is there a specific hard drive you recommend? Name brand hard drives are the way to go. Don’t go cheap with your data storage. Hard drives from Other World Computing, G-Tech, Glymph, and LaCie have strong reputations for quality products.